For existing and prospective stallholders. Download the Mittagong Markets Guidelines here. Download a Mittagong Markets Vendor Application here. Thank you for your interest in Mittagong Markets. Mittagong Markets is a friendly, local, affordable and country market. I invite people to join our Mittagong Market Community and become a part of the team. Local produce including fruit, vegetables, fresh eggs, jams, chutneys, olives and olive oil. There are delicious cakes, croissants, pies and quiches as well as artisan and gourmet breads. Food for gluten intolerant people including quiches, cakes and breads. Local Artisans making items including tea towels, crocheted blankets, things made from willow tree, woodwork including breadboards and bowls, soy candles, sheepskins, hand made unusual jewellery, handbags, kids play things, hand made kid’s, clothes and fairy things. A good selection of antiques and second hand goods including tools, old wares, books, DVDs, records and clothes. Food stalls with table and chairs which include Devonshire teas, Bacon and Egg rolls, Asian cuisine, Japanese food, Gozemme, French pastries and range of pies. Fresh flowers for the house and plants for brightening up the garden. Lets not forget the dogs: we have dog treats and soaps and other care items. In the grounds of the Mittagong Uniting Church. The Church has 3 stalls (1. Devonshire Tea, 2. Cakes, quiches, chutney and jams and 3. Bacon and Egg rolls) All money taken at those 3 stalls goes back to the Church. The Church is also paid a fee by the Market organiser for the market. There is 1 female and 1 male toilet behind the Church and access for stallholders handling food to inside toilets. The DA is 8:00 am to 3:00 pm but Market is presently open from 8:00 am to 2:00 pm. Set up is from 6:30 am to 8:00 am, pack up between 2:00 pm to 3:00 pm. The market is held on the 3rd Saturday and 5th Saturday of each month. Total stalls, including 3 church stalls (inside), is 72 stalls. There are 3 other inside stalls, with tables, and approximately 66 outside stalls measuring 3 x 3m. Outside stalls are $45.00 each if paid 1 month in advance and $55.00 casual fee on day and inside tables $35 each if paid 1 month in advance and $45.00 casual fee on day. See below for further information re payment.There are 4 sites with power and they are an extra $10 for the power.Inside stalls have access to gas heating during winter and there is a cost of $5 per stall holder. All money for power and gas heating goes to the Church. The stall fee will be collected by Market organiser on the day in cash using red envelopes and money for power ($10.00) and heating ($5.00) will be collected and passed onto Church. 3. A chance to be a part of a the dynamic and growing Mittagong Markets team. Market organiser requires at least 1 weeks notice if not going to be attending market. If that is provided then that fee will be carried over to the next market. If you do not provide 1 weeks notice before Market Date then Market organiser will keep this fee and you will need to pay twice again at the next market. Fees for Gas i.e. Heating inside ($5:00) and Power outside ($10.00) remain the same. Good signage that is put out from Monday prior to market. Monthly newsletter produced by Market organiser and placed in red folder. Market organiser encourages communication through red folders i.e. response to Newsletter, Ideas for Market etc. Stallholders are responsible to ensure that all equipment brought to the Market is erected securely and operated in a safe manner. Any children who accompany vendors need to be supervised at all times. All equipment including signage must be located within the stall site boundaries to allow the public to move freely around stalls. Public access paths must be kept clear at all times. The Market organiser reserves the right to instruct stall holders to undertake reasonable measure which in their opinion will improve the safety of the stall. If power is to be used all generators must be in good working order and all equipment and leads are to be tagged in compliance with relevant workplace laws and regulations such tags must be available for inspection at all times. No cords are allowed along the ground in public access areas. Mittagong Markets will proceed in all weather. The Market organiser will make the decision on the day if weather is not safe otherwise market will go ahead. If deemed not to be safe money for that market will be returned to stallholders. Doctors Medical Centre on Bowral Road, Mittagong if required. Emergency Vehicle Access – Access to market in through Edward Lane into church grounds is to be kept clear and walking areas are wide enough for emergency vehicles. Communication to Market organiser by phone Ph: 0424 095195 and they will be wearing Red Hat. 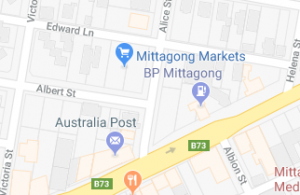 Mittagong Market operates on the 3rd and 5th Saturday of each month and there are separate application for both markets. Stall holders are to erect their own equipment including 3m x 3m marquees, tables, chairs, display materials, weights/pegs and weather protection. Marquees are to be well secured down with pegs and weights as Mittagong site is very windy and can be subject to strong gusts of wind. Stall holder is responsible for the safety of shoppers within their paid space and for clean up. All stall holders rubbish to be removed from site and taken home for disposal by stall holder. Bins provided are not for commercial waste. Please do not pack up early as this sends message to shoppers we are closing up and will affect business for you and everyone else. Vehicles (must travel no faster than 5km/hr) are allowed into grounds to set up stalls and then to be removed. No vehicle movement after 8:00 am and before 2:00 pm. Stall holders to ensure they do not park on the either side of the road surrounding the market to allow market shoppers quick access to the market. Parking available in carpark behind shops or streets further afield. Stall holders using dirty, unsafe or unsightly equipment will not be invited to participate in future events. Loud and aggressive behaviour will not be tolerated from stall holders or shoppers. Offenders will be asked to leave and offending stall holders will not be invited to participate in future events. The Market organiser reserves the right to accept or refuse a stall holders’s application on whatever grounds deemed acceptable at their discretion. Sites are allocated at the discretion of the Market organiser and will be allocated on arrival and where possible stall holders will be in same position each market. Stall holders must ensure that they specify on the application form all goods that will be sold from their stall and they must ensure that only those specified are available on their stall. If you wish to add items a new application form is required. Stall holders are not permitted to sell offensive, illegal, prohibited, counterfeit or unauthorised goods including goods bearing trademarks for which the stall holder does not have a licence to sell. The Market organiser reserves the right to ask stall holders to remove non-compliance items from stalls. Food stalls are to comply with local government and other statutory laws and regulations. Copy of the current public liability insurance, food handling certification, liquor licence, where required, for the individual stall holder must accompany the application form.